Rameses III want to take time hostage - slow it down and put it on ice. Combining acoustic guitar, lap steel, samples, voice, keyboards and field recordings they atomize isolated notes, before stretching them into lush oceans of somnambulant sound. These ambient explorations have scored them gigs with such genre luminaries as Stars Of The Lid, Current 93, Murcof, Fursaxa, James Blackshaw, These New Puritans and Astral Social Club. Several albums have been released on such notable labels as Type, Important, Digitalis, Under The Spire and Celebrate Psi Phenomenon. Rameses III are on indefinite hold for now as Spen, Steve and Dan have happily moved onto other projects. Many thanks for all your support - it was an amazing 10 years! After months of preparation Rameses III released a major retrospective of their work today collecting several out-of-print EPs, most of the albums and 11 previously-unreleased tracks and putting them all out on digital for the first time. A Rameses bonanza! Daniel from Rameses III has co-written the music to the Film4 / BFI feature film Catch Me Daddy with Matthew Watson which has been shown in Cannes Directors' Fortnight 2014 and won Best British Newcomer at the London Film Festival. You can get a taster of the score in the teaser video below. 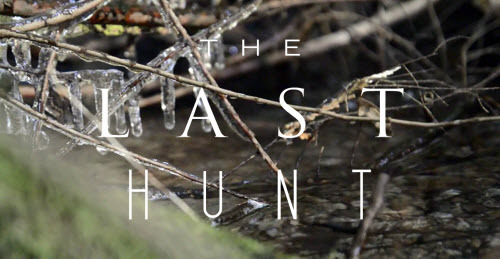 A Rameses III track has been used in the National Film Board of Canada interactive short film The Last Hunt which has just won a 2014 Webby Award. Daniel from Rameses III will be playing from around 12:55 at the Union Chapel, London this Saturday September 17th - it's free so hope to see you there. News of the latest Rameses-related release: Dan's first solo album "The Beauty Of Doubting Yourself" is due out on Home Normal on 16th June 2011. Apologies but we've had to cancel our support slot at Tim Hecker's gig at the Luminaire tonight due to the ridiculous amounts of snow near Steve which was going to make travel difficult and dangerous for us. Thanks to Terence at milesofsmiles for being understanding. We're back at the Luminaire next week on 01st December supporting Tim Hecker and Family Battle Snake, hope you can make it if you're in the area. Unfortunately the gig supporting Roger Eno in Oxford in March 2011 has had to be cancelled. We are hoping re-scheduled dates will be announced shortly. It is a pleasure to announce that we have 2 gigs coming up, 1 with Murcof on October 14th in Leeds and 1 with Roger Eno in Oxford on March 5th next year. And a 3 releases to talk about: a 7" single with Comus and Simon Finn to commemorate the Current 93 25th anniversary gigs we were part of back in May, there's a Rameses III remix on the latest P. Jørgensen double CD 'Soundtrack_Remix'	out on our friends Under The Spire and we have another remix on the Papercutz CD 'Do Outro Lado Do Espelho (Lylac Ambient Reworks)'. We're also expecting news on the release of another 7" single and a re-release before the end of the year. If you'd like a copy of the Comus / Rameses III / Simon Finn 7" please get in touch as we have copies for sale. We are pleased to announce news of the biggest Rameses III gig to date: on Saturday 29th May 2010 we have been asked by David Tibet to support Current 93 at their HMV Forum gig in London to celebrate 25 years of Current 93 and David's 50th birthday (many happy returns). Pre-sale tickets are available here with tickets going on general sale from Friday 26 February. I think we're still in shock! The latest Rameses III CDR EP 'For José María' will be released very shortly by our friends at Under The Spire. This will be a limited edition so we would recommended pre-ordering if you would like a copy. Jon DeRosa (Aarktica) played on a track on our latest album 'I Could Not Love You More'. We've been able to return the favour by providing a remix for Aarktica's new 'In Sea Remixes' album which is out now on CD. Finally, a couple of links which are worth checking out: an interview with Rameses III and a YouTube video for track 2 off 'I Could Not Love You More'. The new Rameses album 'I Could Not Love You More' was released by Type Records in September 2009 and has been receiving some excellent reviews. We'll be following it up with a FREE daytime gig at the Union Chapel in Islington, London, Saturday 28th November. We're due to play the wonderful Union Chapel in Islington, London on 11th August as a precursor to the next Rameses album 'I Could Not Love You More' being released by Type Records in the autumn ... more details to follow shortly. A quick stop-gap update: the next Rameses III album is finally in the can - it's been very hard work but we also know it's our best album yet. We're currently sorting out the artwork ready for release on vinyl and CD in the autumn - details should follow in the next few weeks. By then we also hope to announce details of another couple of gigs and another release or 2. Until next time. Our next London gig has just been confirmed for Saturday 25th October. Trome Records have kindly invited Rameses III to support our friend James Blackshaw and Duane Pitre, a New York avant garde composer who will be part of a string, reeds and harmonium ensemble performing an acoustic drone composition. We are finally near to completing the mixing and mastering of the new Rameses III studio album and we're hoping to include elements of the new CD at the gig and have the new album out in the first half of 2009. A (very) alternative version of 1 of the new album tracks called the 'Dark Magus' should be released on the forthcoming 4CD compilation on PacificSoma but we have no release date for this as yet. Some more reviews of 'Basilica' have been uploaded to the site - thanks to everyone for their kind and interesting comments. We're currently just starting to record a new mini album and the mixing for the next Rameses III studio album is now well under way. We're also hoping to play with our friends Starving Weirdos in London in September - more details to follow. The 'Basilica' double album has just been made album of the week by those nice people at Norman Records - spin over to the 'releases' page to see the full review - thanks Norman. 2008's here and we have some good news and some bad news. The bad news is that, unfortunately, the re-release of 'Jozepha / Parsimònia' is on indefinite hold as Type Records have had some problems with their distributors. They are hoping for great things later this year so hopefully the delay won't be too long. The good news is that the 'Basilica' double album is finally out on release at the end of this month - the CDs are already with Important Records and we have copies to sell directly from this site. John at Important has a three year old son Henry who has adopted 'Basilica' as one of his favourite records. We think he perfectly encapsulated what our music is about when he said "This isn't music, it's a movie". A quick bit of news ... we are pleased to announce the first Christmas Rameses gig: a London Sunday afternoon gig at In The Pines. Greetings once again from the land of Rameses. First off, 3 gigs to report, 1 in Manchester, 1 in Luton and 1 in London with the mighty Stars Of The Lid! We are a little excited about that last 1 to put it mildly ... but we're looking forward to all 3 gigs. The bad news is that we have had a bit of a delay on the 'Basilica' album which was originally due this summer. The good news is that when it is released by Important early next year it will have grown - we've added another entire CD of live Rameses recordings to accompany the original remix CD. All of the second disc is new material. We're also very pleased to announce that our friends at Type are re-releasing the mini albums 'Jozepha' and 'Parsimònia' as the stunningly titled 'Jozepha / Parsimònia' album. It will be released in the next few months on both CD and vinyl. Oh, and Dan got married to the lovely Val which was rather special! It's been a loooong time since our last news item - apologies as we've been rather snowed under with loads of Rameses stuff and life in general. Here we go then: 2 gigs to report at last: a little one at The FleaPit with our mate Phil Julian and a rather bigger extravaganza at Corsica Studios with Yellow Swans and Astral Social Club ... both in London, both in May. Next, we can report that the 'Honey Rose' album was released by Important Records in February and seems to be going down rather well which is rather gratifying after all the work that went into it (we'll be posting reviews shortly). Important are also scheduled to release the 'Basilica' remix album in the summer which we're really pleased about as all the artists involved worked hard and produced good results. We're also hoping to have some excellent release news from our friends at Type shortly - we're finalising arrangements for this at the moment. A brief last-minute news item: Spen from Rameses is playing a gig tonight at the Fleapit with Mark Wastell amongst others. It's been a while since our last missive and, as usual, we have a fair amount to report. The 'Matanuska' album has finally been released ... and very proud of it we are too. And all the last minute panics with the artwork have paid off as the printers have done a great job. The excellent 'Goin' Down Slow - Music for Acoustic Guitar' compilation which contains a track by our very own Stephen Lewis has also been released. Finally, we have just finished the work on a Rameses remix album, provisionally titled 'Basilisk'. This includes remixes from our friends Robert Horton, Keith Berry, Gregg Kowalsky and Neil Campbell (a.k.a. Astral Social Club). All the chaps have done wonderful work on the live recordings we gave them and we're looking to get labels interested over the next few weeks. A big gap for Rameses news - not least with Steve and his wife Anna producing little Joshua who's already being tutored in the fine art of playing (well, hitting maybe more accurate) the banjo. We're also rather excited by the prospect of the new 'Honey Rose' EP coming out on the US label Important Records. This is the soundtrack to the short film 'Suityman' directed by Jon Spira which we've been working on for the last few months and we finally got it right after a lot of work. ... and that should keep you all going until the first full Rameses album 'Matanuska' is finally released in a few weeks - we unfortunately have had a few last minute panics with the artwork but it does now look like this will be out very shortly (fingers crossed). All for now other than to say that the Type re-release of 'Night Of The Ankou' seems to have been gathering some very nice reviews - thanks very much. First news in a while ... but we think you'll see we've been busy. First off, we are very proud to annouce that Type Records wil be re-releasing 'Night Of The Ankou' on July 3rd 2006. After numerous good-hearted arguments about the artwork, we finally received our advance copies a few days ago and we're really pleased with the final product and we hope you will be too. Next, although we have not had a absolutely final release date as yet, Music Fellowship will finally be releasing the first full Rameses album 'Matanuska' this month. The 267 lattajjaa compilation 'Kanoja, Myös Hanoja' came out last month and includes tracks from Robert Horton, Ben Reynolds and Alex Neilson and Pumice as well as our track 'September Morning Rain'. Steve has been busy and has got a cracking track on the upcoming compilation 'Goin' Down Slow - Music for Acoustic Guitar' on the new Harha-askel label. Finally, we appear on the cassette compilation 'Orange Gold' on the Gold Soundz label along with Roberto Opalio, Agitated Radio Pilot and Shattered Minds. It's taken a while but finally the 'Ashes' 8" split single with The Trust Riots is out on transparent lathe cut vinyl on Scarcelight - we have a few copies which we'll be selling at tomorrow's gig with the Kranky acts Boduf Songs and Gregg Kowalsky. - With Boduf Songs (Kranky) and Gregg Kowalsky (Kranky) on March 31st 2006 in London. Talking of Gregg, we're hoping to do some recording with him shortly, either when he's in the UK for the gig above, or by post once he returns to the US. In other news, apologies for the appalling sound last night at the Red Rose gig for those who made it. We did our best but the PA supplied just couldn't cope with the mightiness of the Rameses sound! Hope it didn't spoil your fun too much. Finally, we've just heard that it looks likely that 'Night Of The Ankou', our collaboration with Brad Rose of Digitalis will be re-released on Type Records in the near future - possibly with an additional remix not on the original 267 lattajjaa release. It will make a change to be on a UK label for once! - With Sir Richard Bishop (of The Sun City Girls) and James Blackshaw on March 2nd 2006 in London. In other news, our mate Simon at Barl Fire Recordings has just re-released the 'Parsimònia' mini album - but be quick if you want a copy as most of the limited run has already been pre-sold. In addition we have just started work on the music for the short film 'Suityman' - more details to follow when we have them. First news of 2006 and a happy new year to one and all. Our Finnish friend Hannu Haahti has put together a 'new compilation of the psychedelic underground' featuring Robert Horton, Pumice, Ben Reynolds and Alex Neilson as well as our good selves. 'Kanoja, Myös Hanoja' should be out in early 2006. We have also heard that the	'Matanuska' album is still scheduled for release and should be out early this year, a little later than originally planned. We do have a couple of interesting projects in the pipeline which we hope we can confirm shortly but we are having to be good and keep our mouths shut for the time being. Oh, and our track on 'The Pet Series Volume 4' is now available as an individual download. Greetings. We've been busy once again and we have 3 releases to talk about. First up, 'Night Of The Ankou', our collaboration with Brad Rose of Digitalis, came out a couple of weeks back on the Finnish label 267 lattajjaa. If you want a copy we would suggest pulling your finger out because half of the limited run has already been sold. Talking of Digitalis, our mate Brad has also got around to releasing the truly mammoth 3 CD compilation 'Gold Leaf Branches'. A full CD release, this 59 (!) artist compilation has gorgeous hand-made packaging and includes tracks from Six Organs Of Admittance, Charlambides, Marissa Nadler, Wooden Wand, Dead Raven Choir as well as a cracking track from James Blackshaw. Finally, with yet another Brad connection, the original version of 'Death Of The Ankou' (before Mr Rose got his evil hands on it) has also been released as 'Birth Of The Ankou' on the musicyourmindwillloveyou compilation 'Sounds Surrounds Us Volume 3'. This may sound like overkill but we liked the results of that 1 particularly inspired night so much that we wanted the minimilist version to come out too. No news for 7 weeks ... and then 3 releases at once! First off we have the ambient drone collaboration with The North Sea a.k.a. Brad Rose of Digitalis ... he liked 'Parsimònia' so much he decided to send us some bouzouki on CD to play against / destroy. We're all really pleased with the results the 'Night Of The Ankou' CDR should be out very shortly on the Finnish label 267 lattajjaa. Barl Fire have now pretty much sold out of their limited edition re-release of 'Jozepha' but the good news is that they will be re-releasing 'Parsimònia' in late November 2005. Shortly after that in December, Scarcelight will be releasing the 'Ashes / Freightliner' split single with The Trust Riots which will be great as we still haven't heard the flipside yet! First off, Piccadilly Records in Manchester, UK have been kind enough to make 'Jozepha' their new-psyche-folk / americana / folk / country) Record Of The Week award - thanks very much! The cover art for our forthcoming Music Fellowship release 'Matanuska' has just been finished, we're really pleased with it and you can see a preview of it on the releases page. Spen from Rameses has just had 1 of his poems published in the hand-bound Digitalis book 'Pine Meoquance'. Although he's since done better work (his words), there's some lovely poetry and art from Christina Carter, James Blackshaw, Keith Wood (Hush Arbors), Brad Rose, Eden Hemming Rose, Robert Horton and Michael Donnelly amongst others. If you're interested it costs $10 and you can order it from Melody Bar in the UK or direct from Digitalis Publications in the US. The re-release of 'Jozepha' on the new British micro-label Barl Fire Recordings is now out. Go out and buy it you lucky, lucky people. BIG news! We are really excited about the forthcoming release of 'Matanuska' later this year by The Music Fellowship from Connecticut, USA. This is scheduled to be a full CD release and the album tracklisting and an MP3 are already available on the 'releases' page to whet your appetite. Scarcelight Recordings have just announced that the split 8" vinyl single with The Trust Riots can now be ordered from them in advance. Can't tell you any more yet as we haven't heard the little beauty ourselves yet. In addition, although the original limited edition release of 'Jozepha' on the CPSIP label has now sold out, we are very pleased to announce that the new British micro-label Barl Fire Recordings has breathed new life into our Frankenstein's monster by deciding to re-release 'Jozepha' later this year. - With A Hawk And A Hacksaw and Limn on 02/06/2005 in London. Please see gigs for more details. Michael from the musicyourmindwillloveyou label in New South Wales, Australia has been incredibly organised as the 'Charms Cut From Our Trees' compilation has already been released. There are only 100 copies of this release and, although we haven't yet heard the results, the band-listing looks very promising what with Hush Arbors, Brothers Of The Occult Sisterhood and Juniper Meadows being included as well as the mighty Rameses. Early warning of a limited-edition lathe-cut 8" split single on Scarcelight Recordings from Birmingham, Alabama in the US. Rameses will be providing 7 minutes of top drone action in the form of 'Ashes', whereas The Trust Riots will be dosing us all with the heavy feedback / tape manipulation wonders of 'Trust Thyself'. Due in summer 2005. Another Rameses track is due to be included on a compilation, this time on the musicyourmindwillloveyou label in New South Wales, Australia. The 'charms cut from our trees' compilation will be a limited 100 copy edition featuring Hush Arbors, Juniper Meadows, Terracid, Corsican Paintbrush, Brothers Of The Occult Sisterhood, The Golden Oaks, Keijo, Nada, The Greenlanders, Kageplan, Snowfox, ffehro as well as the mighty Rameses. The 'Parsimònia' mini-album has also recently been played on John Cavanagh's 25th Soundwave show on Radio Six International in Glasgow, Scotland and was listed in the charts in The Wire issue 253 for Chris Robinson's Oblique Motion show on WMUC-FM in Maryland, USA. - With Josephine Foster, Peter Wright and James Blackshaw on 20/03/2005 in London. - With Ashtray Navigations, Blood Stereo and Birds Of Delay on 09/04/2005 in Leeds. Foxy Digitalis have been really quick off the mark - the 'Parsimònia' mini-album has already been released. A Rameses track is included along with 11 other tracks from Thomas Denver Jonsson, Damien Jurado and Multi-Panel. The Oklahoma label Digitalis Industries are going to be releasing the next Rameses release 'Parsimònia' as part of their Foxglove series in the near future. A Rameses track will be appearing on their next compilation in around April 2005 along with Six Organs of Admittance, Hala Strana, The Juniper Meadows, Dead Raven Choir, Anla Courtis (of Reynols) and Black Forest / Black sea. The New Zealand label Celebrate Psi-Phenomenon has just released the 'Jozepha' mini-album. - With Christina Carter of Charalambides (Kranky records) and Fursaxa on 28/10/2004 in Bristol. - With The Album Leaf on 19/10/2004 at Bush Hall, London. The New Zealand label Celebrate Psi-Phenomenon has just confirmed that they will be releasing the 'Jozepha' mini-album later this year. Please see releases for more details. The double-CD compilation 'For Jonathan' featuring the track which the US band Unwed Sailor recorded in the Rameses studio last year has finally been released. All songs were based on the images of Chris Bennett's film "For Jonathan" and forced each artist to write a piece based the images and the emotions they created, rather than just writing a song from scratch. - FREE gig with new Warp Records signing Gravenhurst on 10/07/2004 at the nottinghillartsclub, London. - Firefly Records night on 20/07/2004 at the 12 Bar Club, London. Rameses are playing live on Resonance FM, London's art-radio station tonight, along with Jack Rose. You can catch the show in London on 104.4fm or you can hear streamed audio at www.resonancefm.com - it's the Clear Spot show from 7pm until 8:30pm GMT. ::With Sodapop and The City Is Ours For The Taking on 07/06/2004 at the 12 Bar Club, London, UK. John Schuller - who has worked with Eyvind Kang and Low amongst many others - has suggested a collaboritive EP / album with Rameses III. We have already provided backing tracks ready for his contributions and he is currently putting together his tracks ready for Rameses contributions. For more details on John Schuller please visit www.johnschuller.com. We have just had confirmation that we are to be included on the next Pet Series compilation, along with Giardini di Miro, Spinvis, Tiebraker, Sarah Hepburn, The River Curls Around The Town, Multi-Panel, Lilium, Krakow, Honey For Petzi, and John Shaffer. See the The Pet Series 4 on www.thepetseries.com for more.